According to an FCC certification, the Nokia 8 might make its way to the U.S. and luckily for those that want ample storage and RAM at their disposal in a mobile phone, the flagship is expected to deliver on those exact fronts. 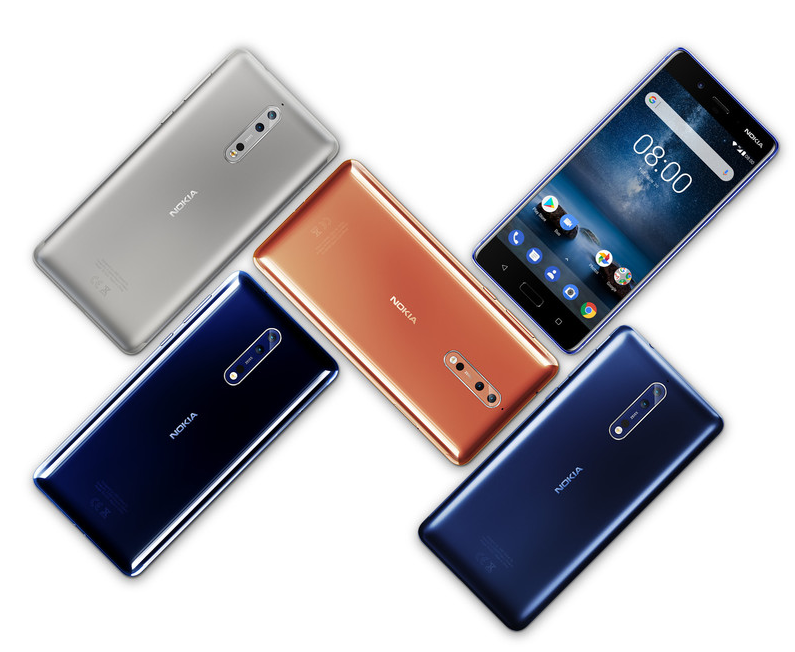 Details of the max spec’d out version of the Nokia 8 shows that HMD Global will be sending the TA-1004 and TA-1012 variants to the U.S. market, which features 6GB of RAM and 128GB of internal storage. This can mean the Nokia 8 will be competing against the likes of OnePlus 5, and because there are several consumers out there that might not appreciate the unique design language of a smartphone but prefer getting the best of the best from a hardware perspective, the device is expected to sell moderately well. Pricing details of the handset were not detailed, but we are under the assumption that it will retail for around $700. The aforementioned price is lower than that of the Galaxy Note 8 but some advanced hardware additions are still missing that might allow HMD Global to gain more control on the pricing. For example, the Snapdragon 835-powered flagship does not feature an OLED display, but an LCD screen instead with a resolution measuring at 2560 x 1440. The LCD display might bring a cause of concern for several users, but HMD Global states that the smartphone will have its dedicated low-powered section to conserve battery life. Though the phone will be running Android 7.1.1 Nougat, Nokia 8 will eventually be updated to Android Oreo. The most exciting part has to be its dual-13MP camera sensors. The secondary lens present at the back is a monochrome shooter while the one at the front is a 13MP camera. All three of them use Zeiss optics, but that’s not the only stand-out feature in stock. The camera app supports native live-streaming to Facebook or YouTube. Despite its 5.3-inch screen, the Nokia 8 features a non-removable 3,090mAh battery with support for Quick Charge 3.0. Are you of the impression that the smartphone will sell well if it enters the U.S? Tell us your thoughts down in the comments.